Wobot? ", but it does justify this page. Now on to the biography. contrast to the always serious, ultimate tough guy Judge. Walter was hard at work in the kitchens of the Grand Hall of Justice. citystate and began the relationship between Judge Dredd and Walter. ignominiously seventeen years later in 2116 AD. 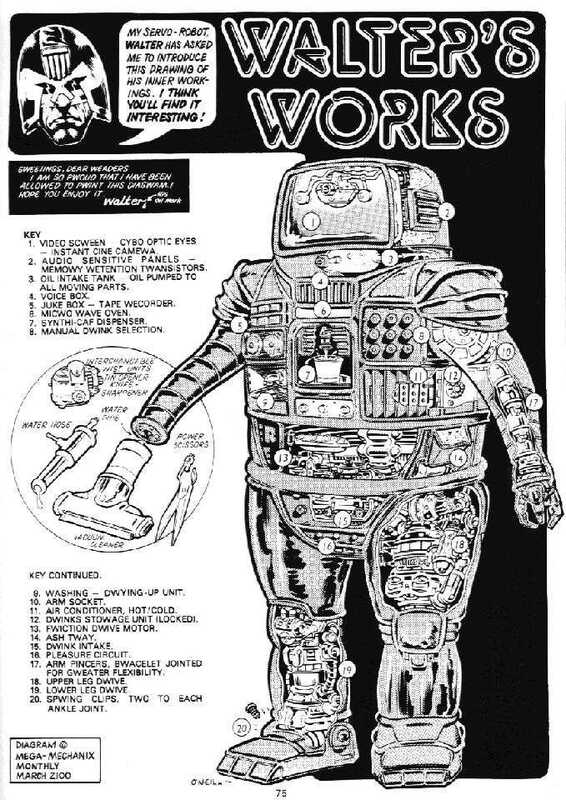 Judge Dredd, Walter the Wobot and all related characters are the copyrighted property of Fleetway/Egmont Inc.